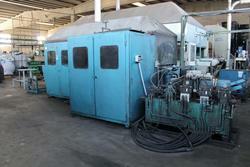 Bankruptcy asset sales of used thermoforming machines. Make your bid! Thermoforming of plastic is a manufacturing technique in which a plastic sheet or film is heated in an oven, that permits it to be stretched into or onto a mold and cooled to a finished shape, with pressure or vacuum forming. Thermoforming is used when the thickness of the piece sides is to be very thin and a precision greater than a millimeter is required. 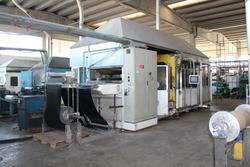 Thermoforming machines are used from small to big productions, with totally automatic lines. If you are looking for the best solution for the purchase of a used thermoforming machine, you are in the right place! On Industrial Discount you can find on a daily basis new judicial auctions for the sale of used thermoforming machines from bankruptcy procedures. With your best offer, you will get the best thermoforming machine for your business. All our used machinery are characterized by affordable prices and good-quality standards. Attending our online auctions is extremely easy: register for free, activate your account following the instructions and make your first offer. If it will be the best, you will win the item! Registering on our website, you will be able to download and review at any time all sale documents of the item you are interested in. Moreover, through the Watchlist feature in your account you can track in real time the bidding activity on your favorite items, check in real time the relaunches of other participants and see the timer to the deadline of the auction. 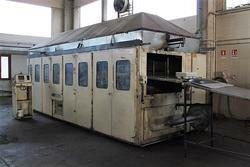 Don't miss the chance to get the cheapest used thermoforming machine for your business! Attend the upcoming auctions on our website.